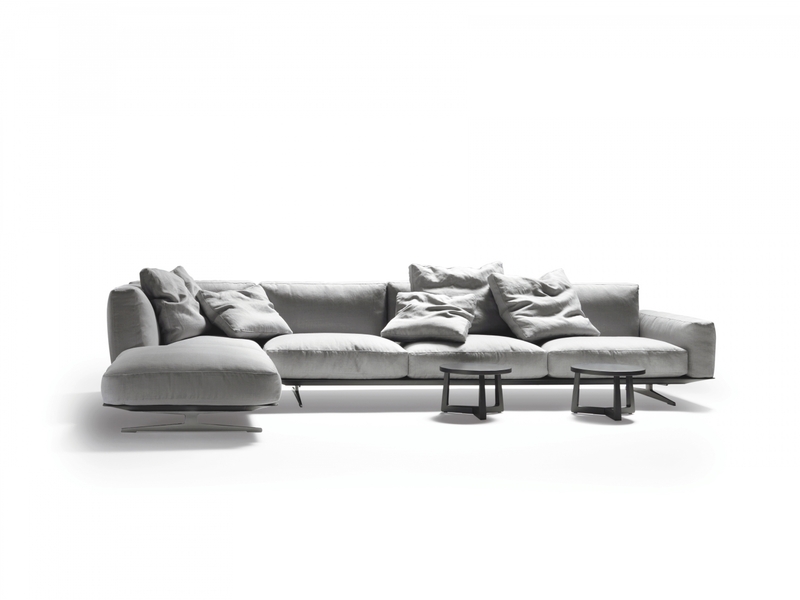 Challenge oneself with the quest to design a sofa that encourages dreaming. 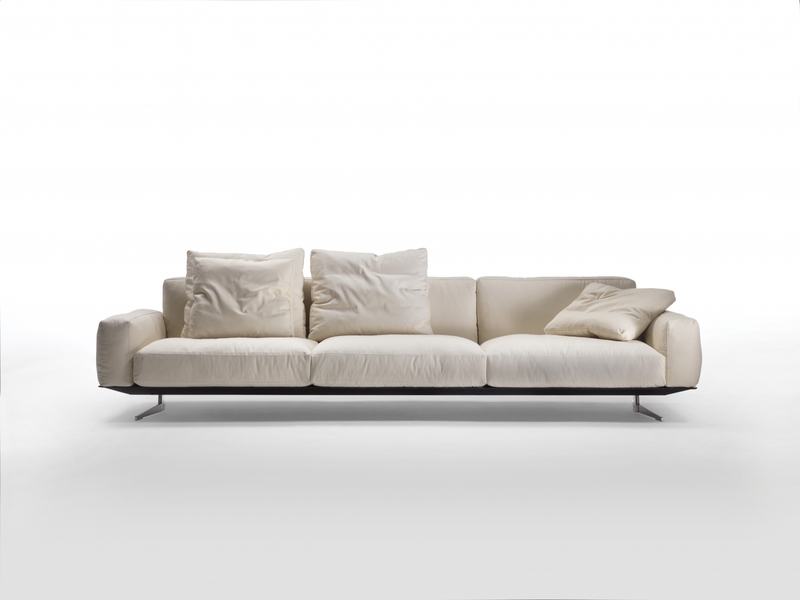 A challenge met with determination that led to the concept of the Soft Dream sofa, one whose name proclaims its features. 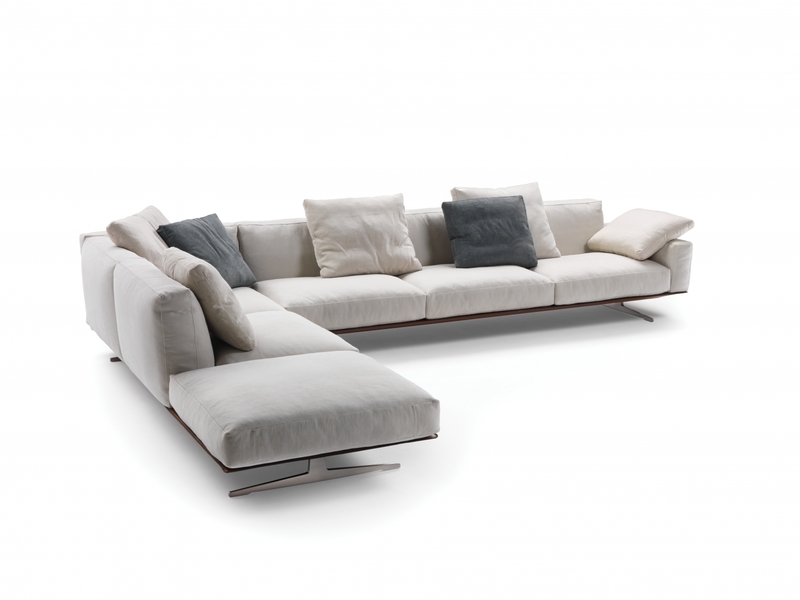 Versatile, flexible, chameleon-like – this is the personality of the Soft Dream seating system. 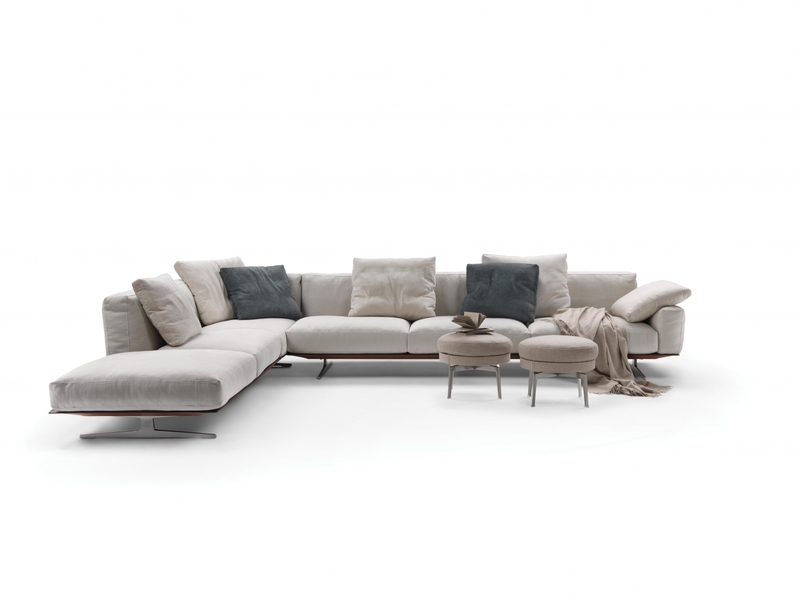 Lightweight, the sofa rises above the floor on elegant cast-metal grey or bronze painted feet, also available in satin, chrome, burnished, champagne or black chrome finish. 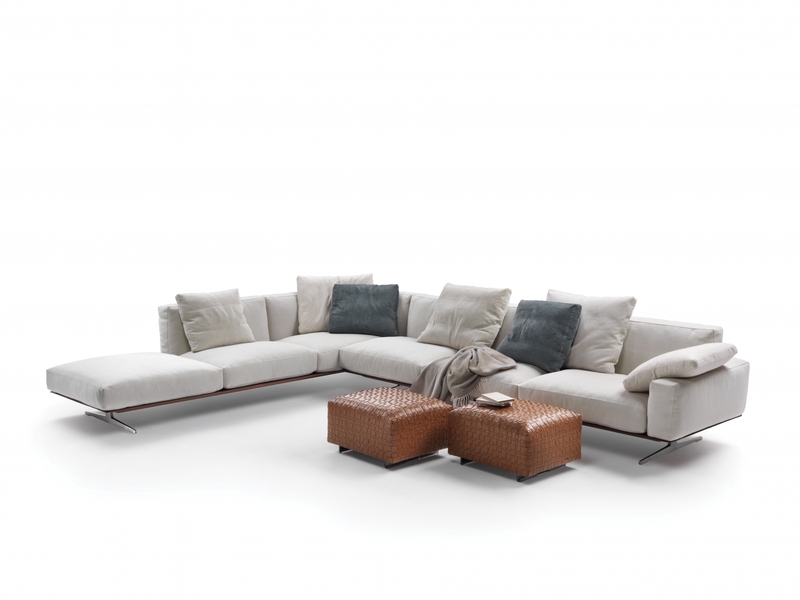 Resting on the cowhide-upholstered metal base are the soft, generously-filled goose-down seat and seat back cushions. 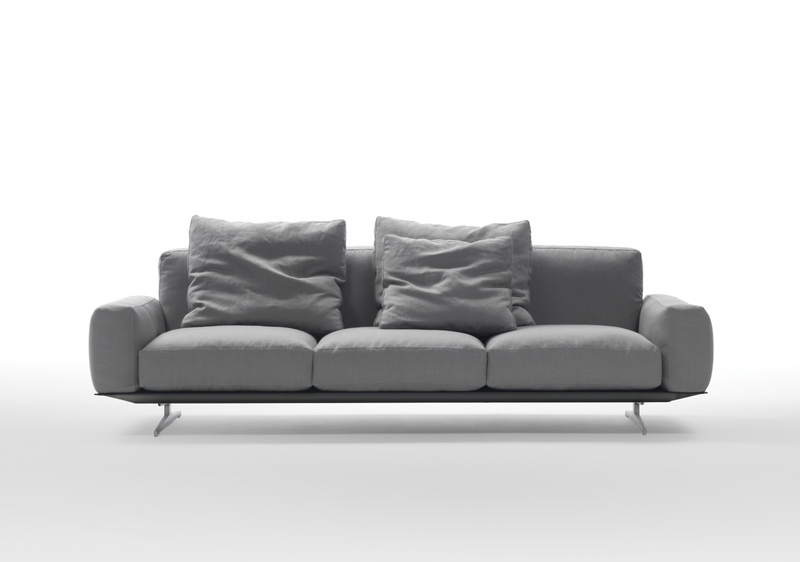 The armrests come in high and low versions and double-depth – 94 cm for the Soft Dream version and 110 cm for the Soft Dream Large – making Soft Dream a versatile sofa that is comfortably at home in almost any setting.